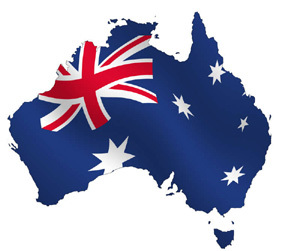 The population of Australia is 22 million (Australian Bureau of statistics,2010). Nearly 25% of the population was born outside of Australia and have ethnic ties spanning over 140 countries. This diversity of cultures range from the indigenous groups, to early European settlement, particularly the UK and Ireland, to immigration from countries across the globe, including Italy, Greece, China, Vietnam, the Philippines, India and Sri Lanka. Although English is the official language of Australia, more than 2.4 million people speak another language at home. Australia is the sixth largest continent in the world, yet it has the lowest population density, with only two people per square kilometre.